OK, tried this one because my special other is really mad about it. He kept going about how Talisker 10 was the best scotch he ever had, better than Talisker Skye or any other Talisker. So finally we bought him one bottle. I poured us some glasses... and then I understood what he meant. Nose: delicate iodine with a hint of smole. Brine ? Taste: pepper first, then citrus notes and suddenly boom... light peat. Very round and well balanced. A nice sequence! Finish: Lingering pepper, malt sweetness. This Talisker is spot on from the very first sip. Well done! Yeah, I still have a soft spot for this one - despite it being owned by 'them' and having a fake tan. My last bottle was open for about a year and it just kept getting better - I think more savoury notes and hints of tobacco and leather as it went on. Certainly one to keep coming back to. I still prefer the 57 N, but I would not turn down a dram of this. @Nozinan Never tried the 57N, I should definitely do. This is a cask strength Talisker 10, right? @WhisQueer, kinda. The effect is very much "cask-strength Talisker 10," which is great. But the actual specs are that it's slighted watered down to hit that 57% ABV, and it's NAS. I've said this plenty of times, but I always think of Talisker 10 as the perfect exemplar of "scotch." 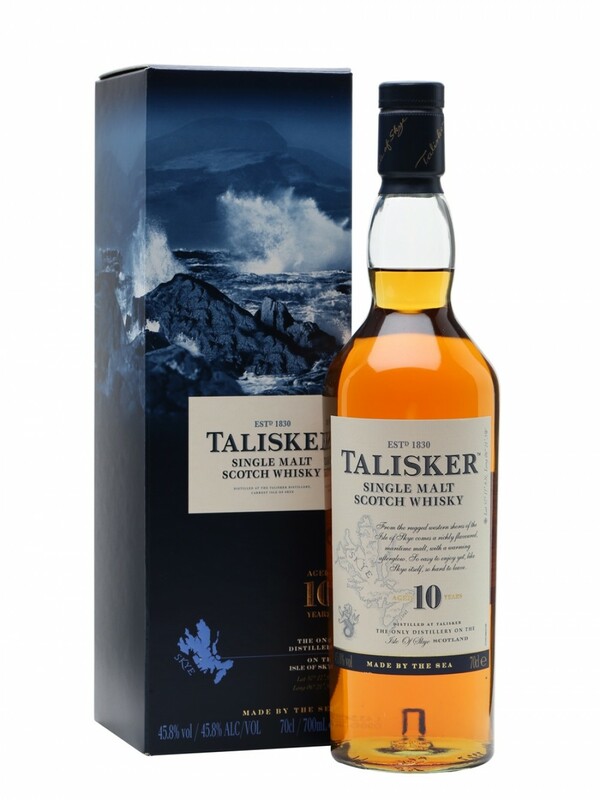 If someone who never had scotch asked me what it was like, my answer would be to give them a glass of Talisker 10. But yeah, the 57 North is even better. My club is doing a Talisker night in April: The 10, DE, 57 North, 18, and a 6-year-old IB from a sherry cask. I expect it to be a shoot-out between the 57 and 18, with opinions falling based on whether folks prefer power or beauty. But the old standby 10 might just be the dark horse! German bottles have to disclose coloring. It's colored. @WhisQueer it is well accepted that it is artificially coloured with e150. A good fall back position is that if it doesn't state that it is uncoloured then it probably is (not always true though). @WhisQueer, now that I have more than 10 seconds, I'll give you a fuller answer on the coloring. German regulations require whiskies that include coloring to state so on the package. Because of that (thank the Germans! ), the whole world gets to find out which whiskies are colored and which aren't. Typically, bottles of colored whisky sold in mainland Europe will have a "mit farbstoff" sticker on them. Plus, many mainland-European whisky retail sites will disclose that point on their product descriptions—same phrasing. Thus, to find out whether a given whisky is colored, you can Google its name plus the phrase "mit farbstoff," and you'll usually get the answer. Or, like @Hewie said, you can often just assume it's colored if the regular label is silent on the subject. Natural color is a selling point for most customers, so it typically is touted. Fake color is a flaw for most customers, so it typically is not mentioned. 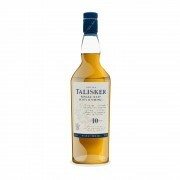 @WhisQueer I to realy like Talisker 10. Unfortunately there is a lot of batch variation and I had some bottles that were uneventful to say the less. @Robert99 Me too. A couple of years ago I thought it had slipped quite a bit. My latest bottle (so far) is much improved. Maybe not worth 90 points anymore though. I may have to get another bottle at some point . . . just to be sure! The 18 is most definitely on my radar though. My impressions are as @RianC 's. A bit hot, harsh and Peppery. I've had some good ones though like the one finished in Port. @MadSingleMalt Can't wait to hear about this one. When the time comes/passes, please share! @KRB80, is it my club's upcoming Talisker night that you're asking about? @KRB80, roger that! I can't say I'll dig up this exact page, but I'm sure I'll mention it on the usual "whatcha drinking lately, pardner? "-type threads. Cheers.